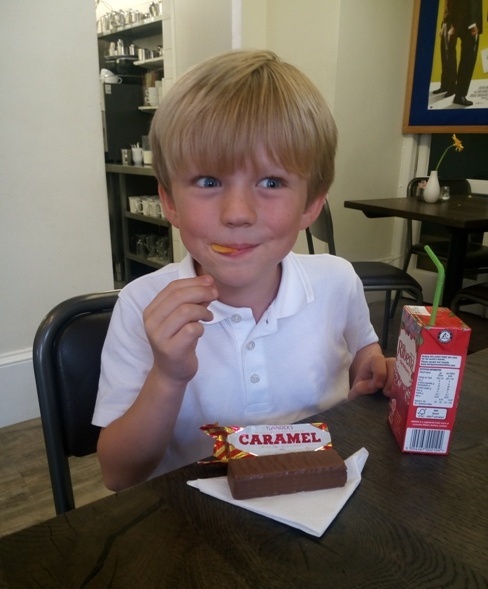 I can recall in the 1950s when my family were staying at a guest house whilst on holiday in Cliftonville near Margate in Kent, daringly going into the kitchen at tea-time and asking for a second marshmallow teacake. I was fascinated by the catering size square tin that held 48 teacakes. 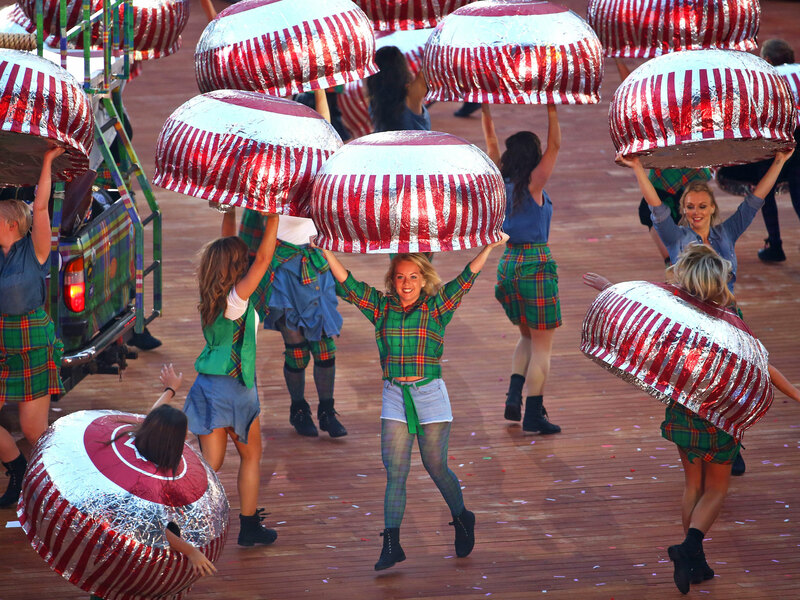 They were wrapped in red and silver foil so I assume that they were Tunnock’s. Once eaten, I would conscientiously smooth out the foil wrapper into a square, and then fold it up. 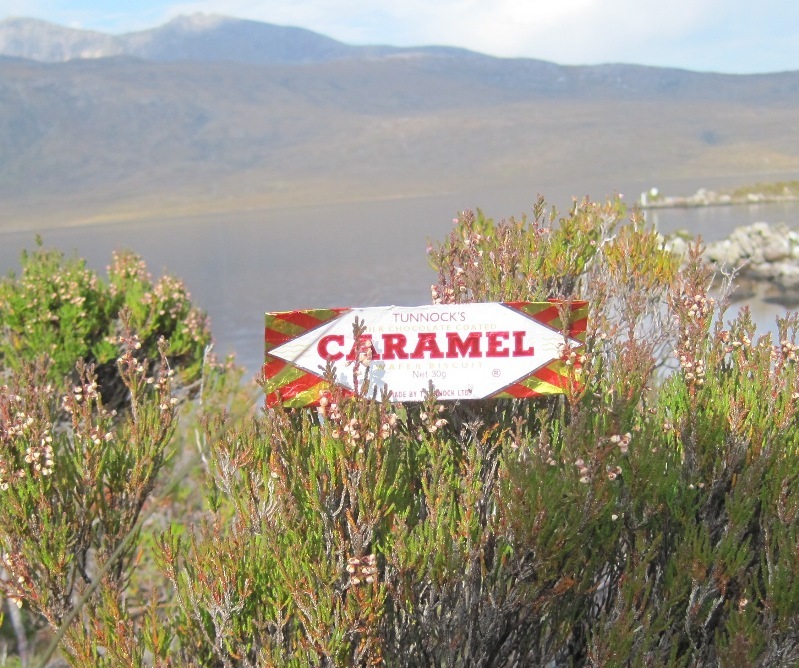 An impromptu advert for Tunnock’s Caramel Wafers close by remote Lochan Fada in Wester Ross in Scotland. It’s not just Tunnock’s Tea Cakes and Caramel Wafers that are famous. In 2014 Snowballs were in the headlines when Tunnocks, and nearby competitor, Lees of Scotland, both makers of snowballs, each received a windfall VAT refund. They appealed against a ruling by HM Revenue and Customs that snowballs were confectionery, which is subject to VAT, arguing that they were cake, which is not. According to a BBC report, which you can read in full here, the judges were presented with a plate of Jaffa Cakes, Bakewell tarts, tea cakes, Lees Snowballs, Waitrose meringues and mini jam snow cakes during the hearing. ‘We tasted all of them, in moderation, either at the hearing or thereafter’ said Judge Anne Scott. ‘A Snowball looks like a cake. It is not out of place on a plate full of cakes. A Snowball has the mouth feel of a cake’ she added. The tribunal ruled in favour of Thomas Tunnock and Lees of Scotland that snowballs were cakes. 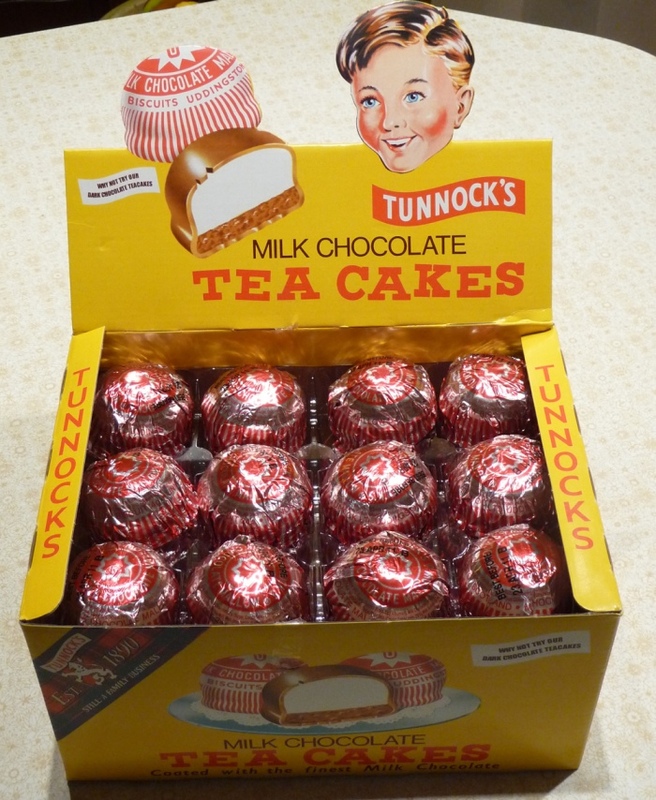 Retired RAF squadron leader Tony Cunnane told in 2013 of how in the 1960s Tunnock’s Tea Cakes became a favourite snack of the crews at RAF Gaydon in Warwickshire, who flew V-bombers, Britain’s nuclear deterrent. As well as being a welcome snack on long flights, crews noticed that the mallow in the teacakes would swell with increasing air pressure above 15,000 feet, and the chocolate would crack. This discovery kept different crews fascinated for weeks. However the days of the teacake as a snack ended after several unwrapped teacakes exploded on the instrument panel. Why is it that only slightly odd products that have fan clubs? Spam? 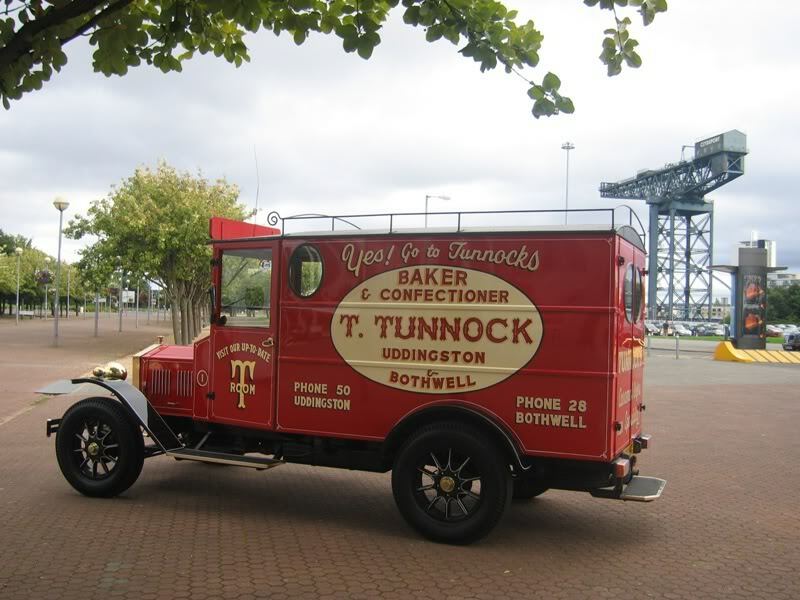 Tunnock’s? Though I could see a case for joining the WD40 appreciation society. Ah well, it takes all sorts…….